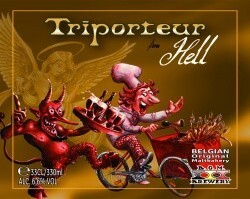 "Triporteur From Hell is a dark beer brewed with hellish burned and roasted BOM malt. The beer reminds us of chocolate, caramel, recently brewed coffee and freshly baked bread. The wheat malt in the unfiltered beer can cause a slight cloudiness. 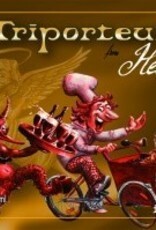 The taste of Hell keeps evolving in the bottle"